Give your machine new life with a CNC Retrofit. 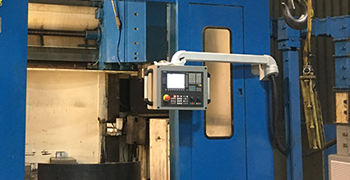 With over 30 years of retrofit experience, we are able to quickly assess your machine tool and develop a comprehensive turn-key retrofit solution that will leave you with little to do when it comes to retrofitting your machine. Solutions are available on multiple control platforms, including: Fanuc, Siemens, and NUM. 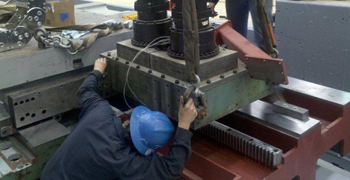 We offer a wide range of machine tool rebuild and repair services through our national partner network. 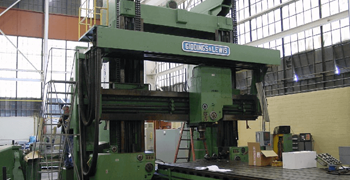 Services include: complete mechanical rebuilds, manual to CNC conversions, realignments due to wear or crashes, field service, hand scraping, precision grinding, turcite installation, linear guide replacement, lube system replacement, and more. Have a machine that's been sitting and not running for a while? Let us help. We use our network of used machinery dealers and brokers to get your machine sold fast! By getting your machine listed on all the major machine tool websites (including our own), we gain the exposure needed to attract prospective buyers and create sales opportunities. Does your company offer products or services related to the machine tool industry? If so, consider partnering with us. 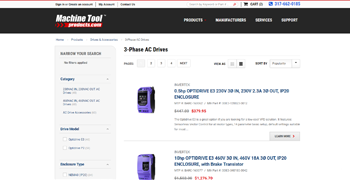 We are always looking for qualified manufacturers and distributors to help grow our online product offering. Multiple partnership opportunities are also available for companies that offer machine tool services.